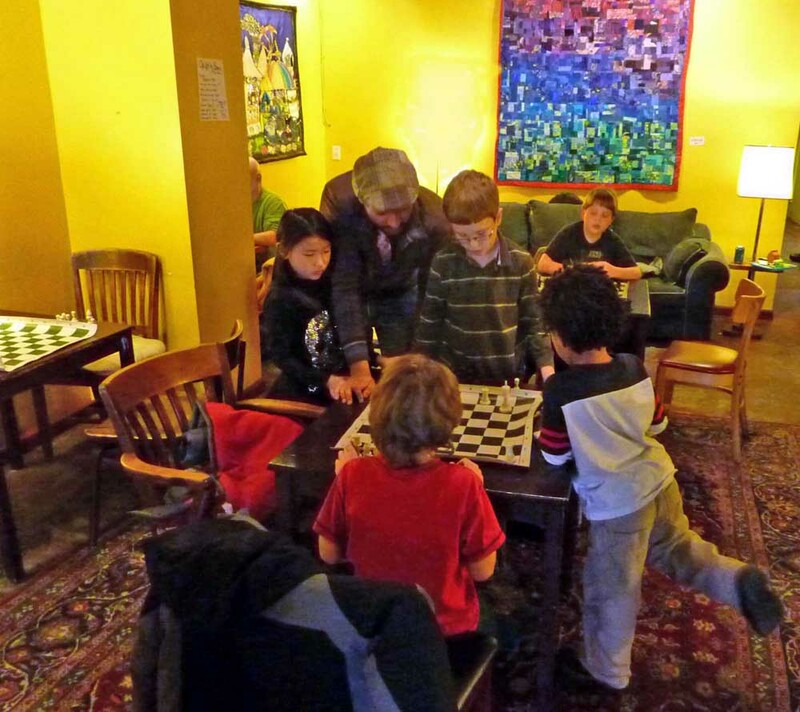 A Yellow Springs Blog: Future Chess Masters? Omar with his chess students at the Emporium this week. Nine kids/5 tables and it looked like they were serious and having fun at the same time. If you're interested, contact Omar at durranio11@gmail.com.